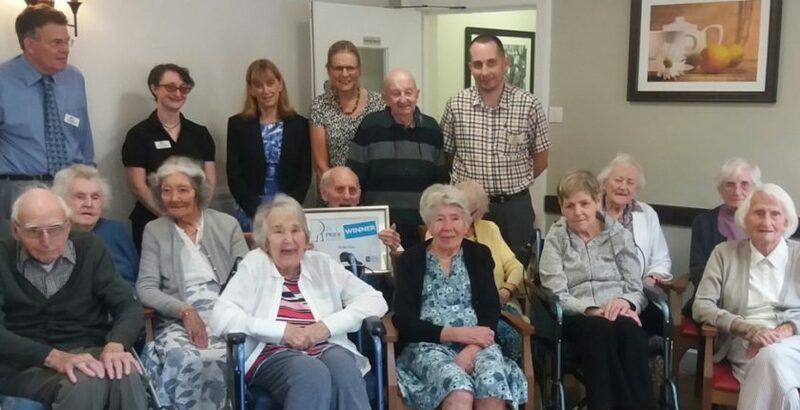 MHA Stratton House Care Home, named as one of the UK’s top 20 charities, has been presented with a Police Crime Commissioner’s Award. The care home hit the headlines in April after local friend of Stratton House Zoe Weston decided to cycle 250 miles from Land’s End to raise money for the charity. After finding out about the event, the residents took on the challenge to beat Zoe’s efforts using floor peddlers. The team, including residents, volunteers, families, staff and the local Methodist Minister, cycled 250 miles in five days, beating Zoe by 30 minutes, and raising more than £1,000 to help with making their garden more sensory friendly with raised beds and scented planting. Sue Mountstevens, Police Crime Commissioner for Avon and Somerset, spoke of the inspiration represented by people who strive to make the community stronger by their actions, and said she was honoured to be able to bring the award to the home. MHA is an award-winning charity providing care, accommodation and support services for older people throughout England, Scotland and Wales.